It is important to remember that tooth enamel is tough, but not invincible. Know the warning signs of a cracked tooth to avoid permanent damage. It’s often difficult to feel a cracked tooth. The pain usually comes and goes. A cracked tooth, however, is a serious dental problem that leaves the mouth defenseless to decay and infection. Although cracked teeth raise health concerns, many people tend to overlook or ignore their warning signs. Often times, patients discover that they have a cracked tooth when visiting their dentist for a routine appointment. It is vital that damaged teeth are discovered early, so that the necessary treatment can be administered quickly. Therefore, patients must know the warning signs of a cracked tooth to avoid serious oral health problems. What are the warning signs of a cracked tooth? 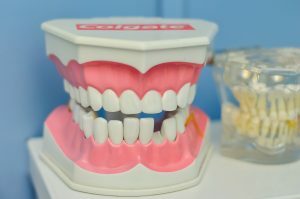 How do cracked teeth affect dental health? When tooth enamel is cracked, pressure on the tooth causes momentarily unbearable pain. After the pressure is relieved, the pain usually subsides. Over time as the cracked tooth repetitively bites down on food, the crack widens. Then, the pulp and nerves inside the tooth become exposed, causing severe discomfort and sensitivity. If treatment is not sough immediately, the pulp in the tooth will cause serious damage to the bone and soft tissue surrounding the tooth. It is important to remember that tooth enamel is tough, but not invincible. Know the warning signs of a cracked tooth to avoid permanent damage. If you are concerned that you have a cracked tooth, or you have any other dental concern that needs to be addressed, please call or make an appointment with your Longmeadow dentist today. We want you to smile with confidence!